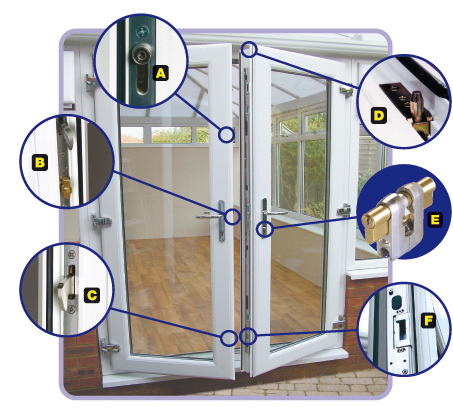 Doors can have their security enhanced by fitting the ‘RASP cylinder protector kit’ and/or ‘laminate glass’. 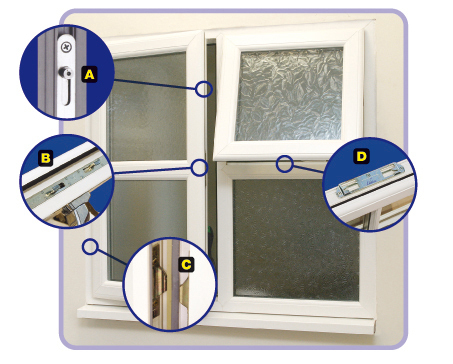 To achieve Secured By Design a door should have laminated glass top and bottom with a midrail and the ‘RASP’ cylinder protector kit. B. A Central lock claw. C. A high level of security in the centre of door by a centre hook claw with smooth locking operation.